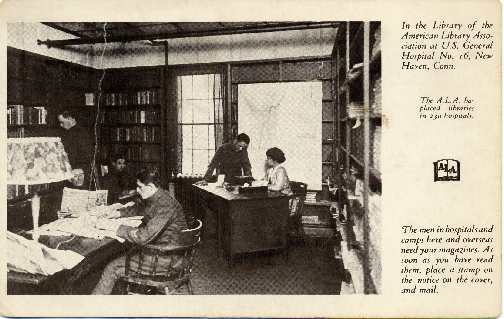 During World War I the American Library Association (ALA), through it's War Library Service, provided books and magazines to soldiers and sailors in military hospitals. 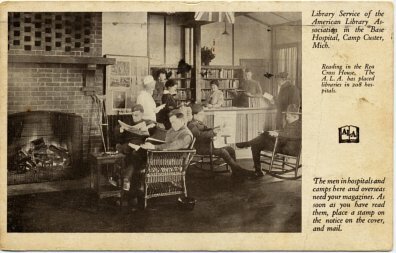 ALA produced a number of postcards to advertise its library service. 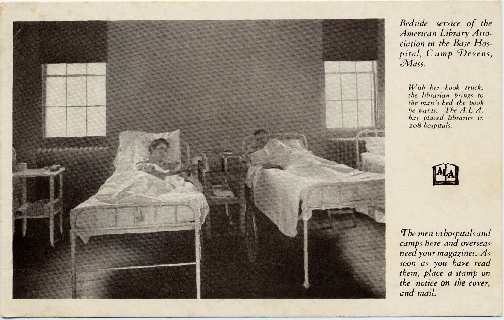 Base Hospital, Camp Custer, Michigan, Reading in the Red Cross House. 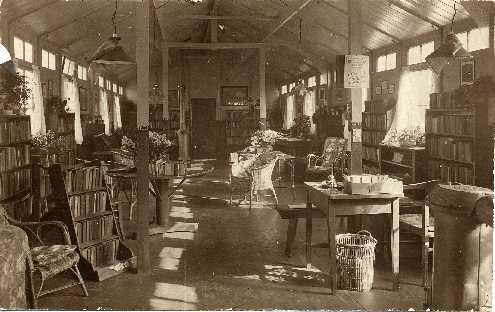 A real photo postcard of a War Library Service hospital library in Coblenz, Germany.